Our last newsletter back in May implied that we were trying to have the car ready to race by October. That didn’t happen. 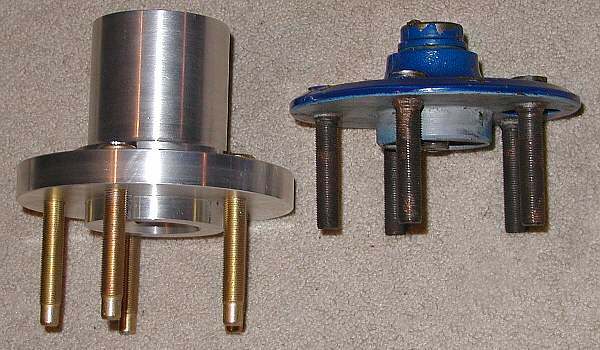 A number of events occurred that greatly limited the amount of time available to work on the car. Fortunately, this time they were generally good events. The first major one was in July, when Mark left Dow Chemical in San Diego, and become plant manager for Crosby & Overton Environmental Services in Long Beach (yup, he’s back in the oil patch). This was a major career move, as well a physical move of 100 miles. 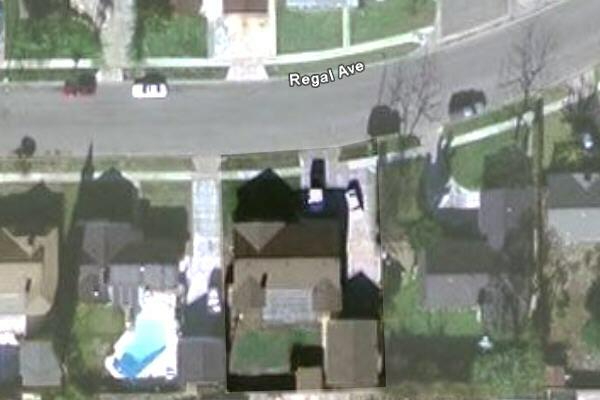 He did not find a new house right away, so Mark lived temporarily at his parents’ house, while his family continued to live near San Diego, trying to sell the old house. Working on the car during this time was impractical. 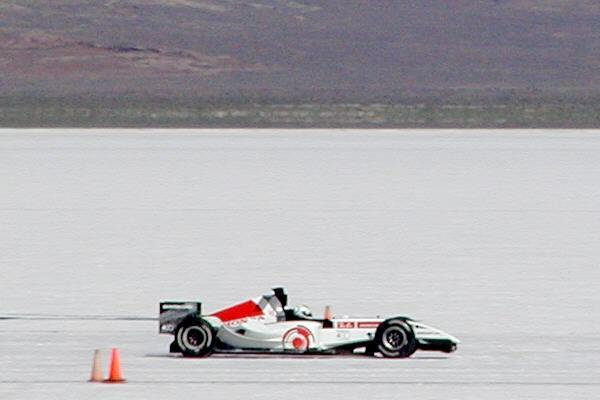 Alan and I got a timing contract for the beginning of August timing the B A R Honda Formula 1 racecar in it’s attempt to become the fastest F-1 car ever. This meet was what we are calling a “media circus”, because the racing becomes secondary to getting the film shot. Still, a job’s a job, and as events go it was pretty easy and some times exciting. The August run was merely a warm up for the real attempt that was planned for October. One serous issue was the very rough salt that did not bode well for SpeedWeek only a few days later. We left Alan’s street car in Salt Lake City and flew back to Orange County for a few days at our regular jobs before returning less than a week later to Utah for the SCTA meet. The 2005 SpeedWeek turned out to be a very unfortunate event. The meet started with extremely rough salt, and then there was a fatal accident, and finally a meet-canceling rainstorm than hit mid-week. All in all, it was a meet to try and forget. If two meets in August wasn’t enough of a tie-up, we were hired to time yet another meet scheduled for the beginning of September. This was the BUB motorcycle meet. Unlike previous meets, Alan and I had to provide all of the wire, and lay it down and pick it up as well. Their original plan had called for more than 20,000 feet of wire. So in-between the other meets we had to buy the wire, outfit a trailer to carry it to Bonneville, and get Mark to build us a wire winder. We made it with plenty of hours to spare. 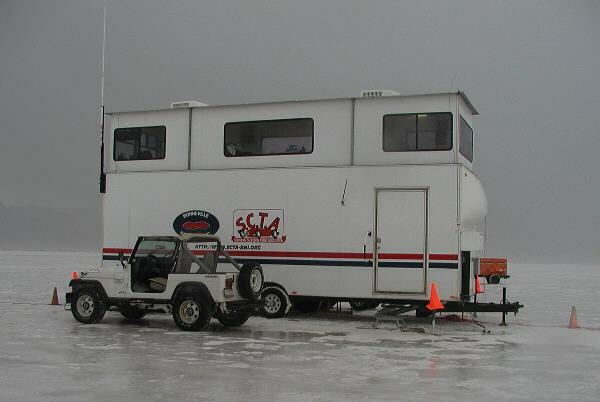 The BUB meet was fortunate to scrape up barely five miles of salt, damp at both ends, but at least it was smooth. 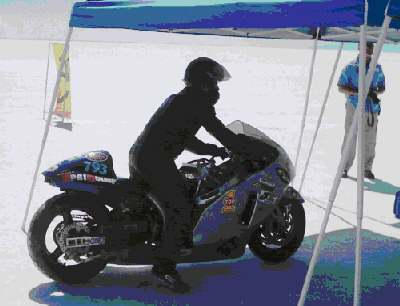 Despite the short course, our friend John Noonan managed to set an all time world’s fastest speed for an open-wheeled motorcycle at 259mph. John was carrying “Speedy” our timing mascot when set his world record. Hopefully we’ll have a web page up soon chronicling the adventures of Speedy, including his World Records and international travels. All throughout the months of August and September, Mark was trying to buy a house in the North Orange County area, and sell his old one in Poway. Finally in October his family moved into a two car garage with attached house, and most importantly, a second two car garage/shop in back, (kind of a his & hers arrangement). The house was a bit of a fixer-upper, (to put it lightly), but well worth the work. Alan and I were able to help out on some of the fixing up and moving, because the October (Formula 1, World Finals, & El Mirage) meets were flooded out. 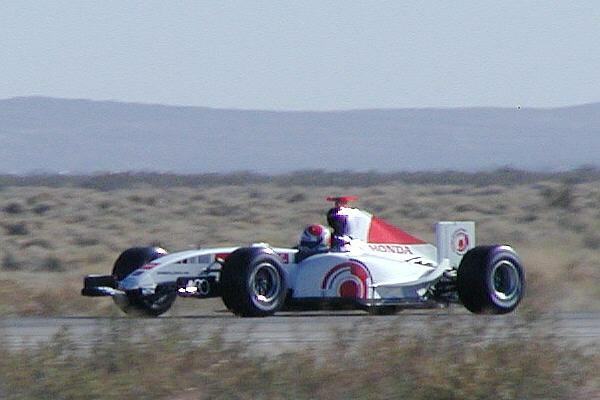 In November, since the Formula 1 car couldn’t run at Bonneville, they somehow managed to rent the Mojave airport for some test runs, and to try and set some sort of unofficial record to keep their names in the news. I’m convinced that the Formula 1 team was in competition with the film group to see who could spend money fastest. I think the filmmakers won, but it was close. And in the end, the car broke the 400kph barrier they’d set for themselves, (413kph, I think was their fastest), so everyone was happy. All around, it was a fun job to do and the crews (car and film) were easy to work with. I understand we’ll be back out to Bonneville to time them again for real as soon as the salt is dry. Unless something major and unexpected comes up, (and judging by 2005...), we’ll try to have the car running at the May meet at El Mirage.